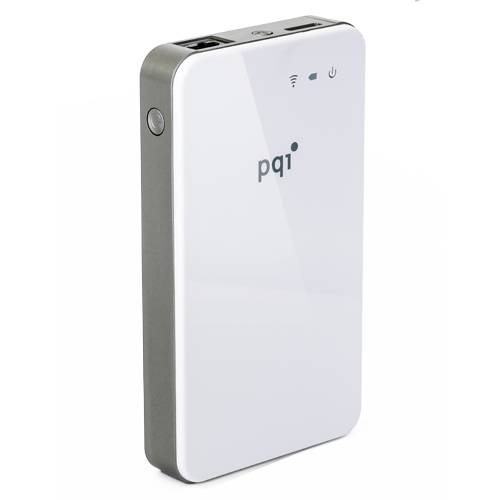 The PQI Air Bank features the latest in wireless technology and Wi-Fi sharing to effortlessly provide extra storage capacity to smart phones, tablets, iPhones, iPads, and other mobile devices. The built-in 802.11bgn Wi-Fi standard lets you leave the cables at home and conveniently sync with up to 5 devices. The PQI exclusive "PQI Air Bank+" app can be installed on your device (available for both iOS and Android from the Apple App Store, Google Play, and Amazon Appstore) to share your best moments, photos, music at anytime, anywhere. PQI Air Bank also supports HD movies for smooth playback and a theatre quality, movie-going experience all without leaving your living room.